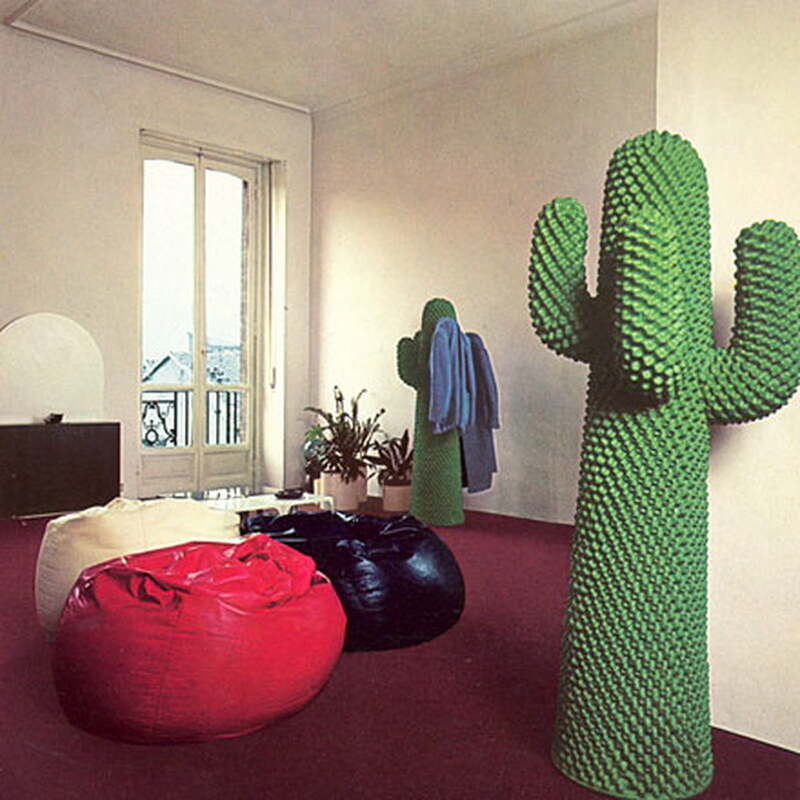 The "Cactus" was designed in 1972 by the designers Guido Drocco and Franco Mello. 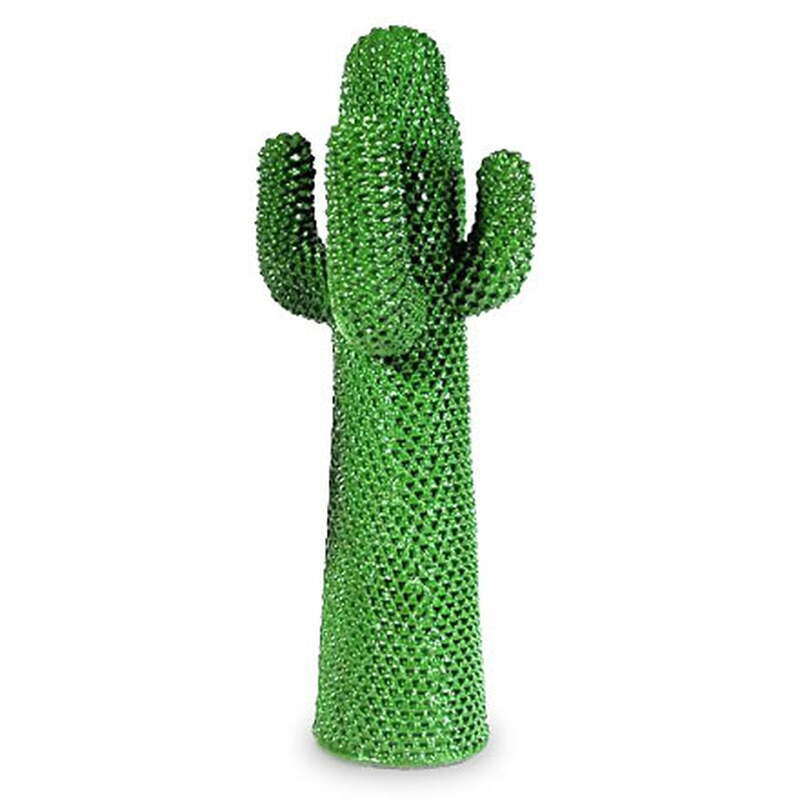 The 1.70 m high, green plastic Cactus by the Turin company Gufram definitely doesn’t scratch, unless it catches the viewer’s eye. It is a part of Guframs 70s collection "I multipli" and can be used as decoration or a hall stand. 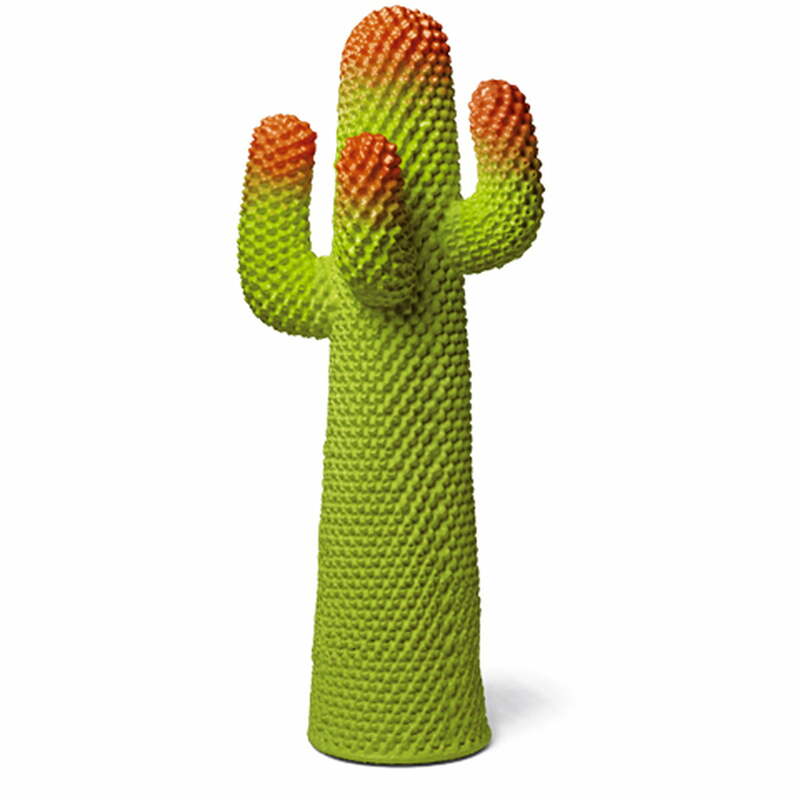 The Cactus has not been delivered in the color green since 2010 due to licensing issues. 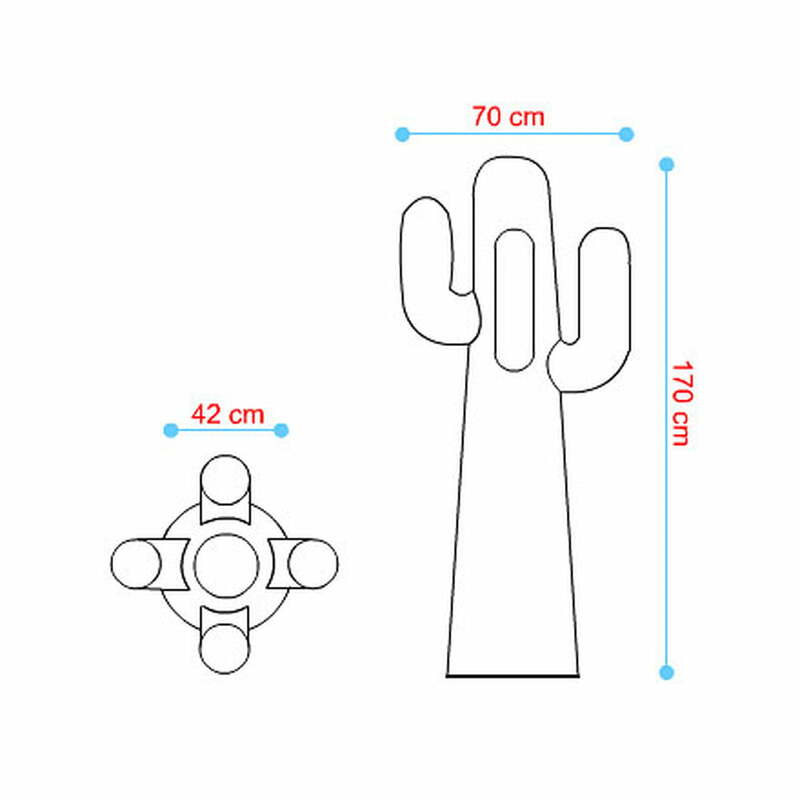 However, it has been re-issued in red and black in a limited edition of 500 pieces each. 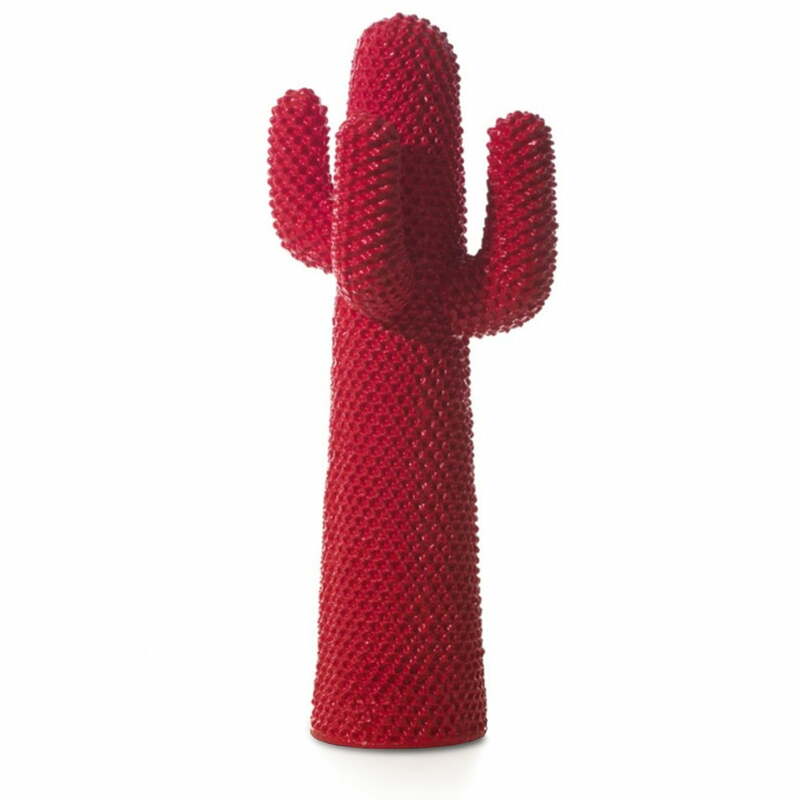 A new model from the “Cactus” series came out in 2012: The "Metacactus" special edition is limited to 3,000 pieces.